Be one of the first to get your hands on Trilogy's brand new discsss! 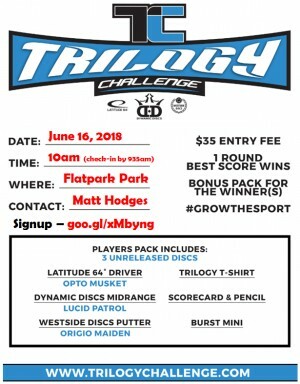 A Trilogy Challenge is a great way for new players to get out and play disc golf and to have fun! 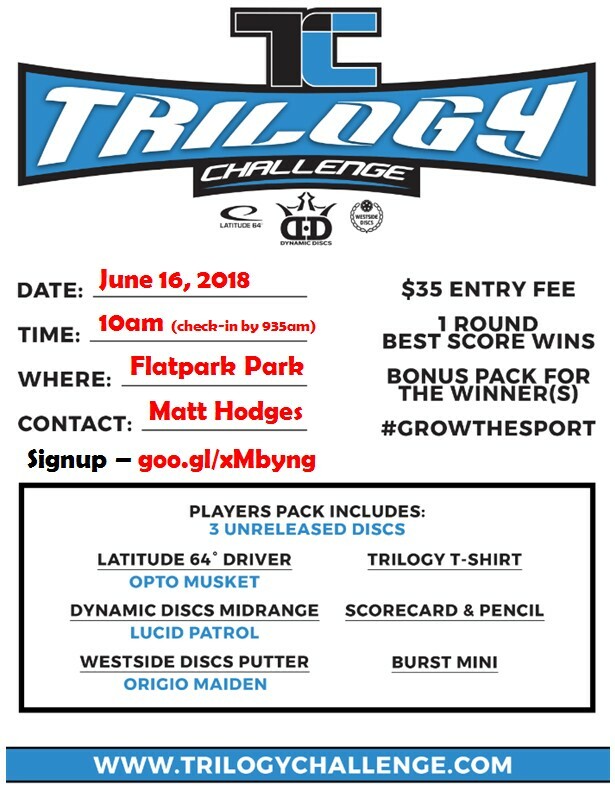 Dont be discouraged or nervous to attend a Trilogy Challenge if you have never played disc golf. This is a perfect opportunity to get started. All skill levels are welcome!! Everybody has a chance to win prizes and awards no matter the skill level!! You can only use discs from your player pack. Important: To guarantee shirt size, you must sign up by June 3rd. After one round of only throwing these 3 discs, winners will be crowned. Columbus GA Disc Golf Club is responsible for all refunds/cancelations.